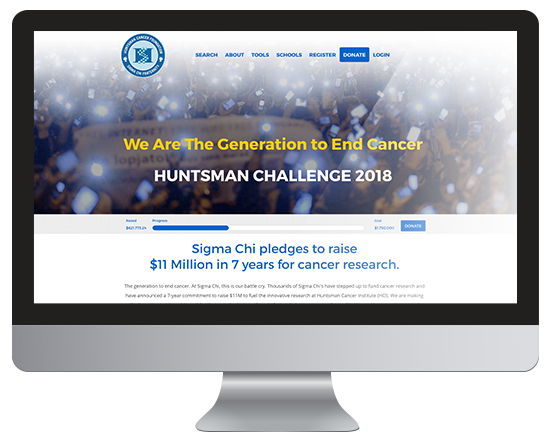 When Sigma Chi announced a 7-year commitment to raise $11M to fuel the innovative research at Huntsman Cancer Institute, Huntsman knew they needed to provide these fundraisers with a robust, modern, peer-to-peer fundraising site to support this goal. Zuri Group and Huntsman worked to design and implement a peer-to-peer fundraising site on Engaging Neworks, and delivered a platform that gives Sigma Chi everything they need to meet their ambitious fundraising goals. Huntsman found that Sigma Chi fundraisers often used third party fundraising tools making it difficult for Huntsman to maintain contact with donors for follow up, stewardship, and cultivation. Huntsman needed to implement the new Engaging Networks peer-to-peer site quickly, keep fundraisers on their platform, and hit their fundraising goal. The redesigned site is natively responsive, the donation process is easy to navigate, and tools are readily available to fundrasiers. In addition to all the basic requirements, Zuri Group was able to build some custom tools using Engaging Networks APIs. Site visitors can now see year-over-year fundraising dollars, not only the current year. The site also features a unique Top Schools leaderboard to showcase the Universities driving this fundraising effort. During the first three months of the new fundraising site, Huntsman saw a 97% increase in online gifts and a 47% increase in dollars raised overall. 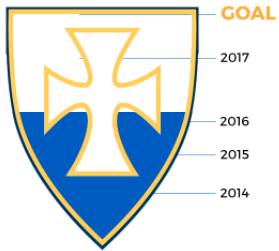 We want to help you reach your fundraising goals.